Mobile cupboard from the OT range with MFC top and front in Maple or beech and matching or contrasting coloured sides. 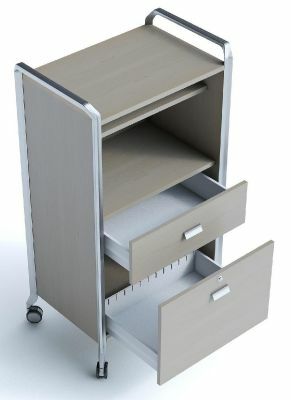 Includes filing drawer and multi purpose drawer. 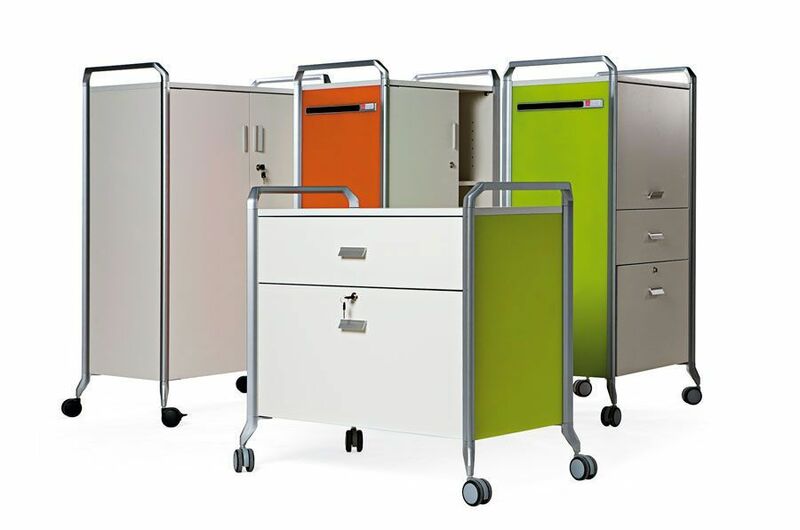 This mobile storage range features lockable doors as standard and feature one filing drawer and a shallow drawer for the storage of paper, files and personal items. These storage units are made with contrastin fronts and sides to give the unit a unique look. The Aluminium frame around the unit has been moulded and features handle bars at the top to help push the unit around when it needs to be moved and the durable castors that have been fitted to the bottom also help movement.